The 2020 general election will be challenging for a lot of reasons, not the least of which for me is deciding whether policy or politics is the most important part of it. Politics is the art of what’s possible. I’m over the naive notion that policy matters more than politics, although the art of what’s possible has produced some problems. Perhaps the best recent example of politics over policy was the Patient Protection and Affordable Care Act, which passed with only Democratic votes and has been fought tooth and nail by its opposition ever since. Voters want better health care, but the ACA was challenged from the beginning. It didn’t deliver better health care. The insurance premiums were expensive. The co-pays were high. The only talking point that persists is that more people who did not have access to health care were covered. Despite continuing feel-good stories about the ACA, its solutions were not so good. It was what was possible. A policy-only approach to the 2020 general election is equally problematic. I believe it is mostly because of the decline in K-12 education, the rise in private and home schooling, and the dominance of FOX News and right-wing radio among people who continue to be radio listeners or view television broadcasts and cable. The electorate has been dumbed down and will swallow almost anything people hear repeated often enough. Making policy for a gullible electorate results in crap for legislation. When the court system finds such legislation deficient, as in the recent “fetal heartbeat” law in Iowa which was declared unconstitutional, the reaction from a dumbed down electorate is “impeach the judges.” Ill-informed notions of how government works are de rigueur and infrequently challenged. Policy wonks talk among themselves in a bubble of their own making but their policy products are not often well received. What will stand the light of an open society? Getting out in it. It is easier to think and talk about politics than to get out of a house or apartment and actually do something in political society. Once a person escapes the fencing of confirmation bias and faces actual people with differing views, a couple of things become immediately apparent. The biggest is a person no longer has internal debate, mistaking it for action. We are on our best behavior in a gathering of diverse people — less likely to assert extreme positions. It is a moderating effect of social interaction. It is easy to generate excitement among a small group of friends with common interests. What is hard is persuading people much different from us our ideas have merit. There is a tedium to working through issues with others which can take the fun out of problem-solving. In modern society we want our gratification and conclusions right away. Execution of them becomes a neglected afterthought. Working through issues together requires a commitment to process that isn’t part of ad hoc meetings in public. We are a society with decreasing respect for such group decisions. More characteristic of how it works is some of us would rather drop our policy bomb at a gathering — like a terrorist with no serious intent of further discussion or resolution — and having disrupted normal discourse, escape to our compound. It gets old, fast. The radio spectrum is a good example of our politics. On the A.M. band there is one type of programming, on the F.M. another. There is satellite radio that bypasses the spectrum. All of them play a role. I currently have only four stations programmed on my car radio where I do most of my listening. During my transportation career I traveled a lot. When with my boss in Pennsylvania, Georgia, or other godforsaken places, he would turn on the radio in the rental car, find Rush Limbaugh, and want to have a conversation with me about it. I refused to participate meaningfully. I viewed political talk in the workplace as unnecessary and unwanted when there was so much else to discuss regarding our business. He would hammer me about Robert Bork’s nomination to the U.S. Supreme Court which had occurred more than a decade earlier. I failed to mention I was a supporter of and had caucused for Ted Kennedy during the 1980 Iowa caucuses. Maybe it would have been better to rip the bandage off and get it all out there. Maybe I’d have lost my job, but maybe not. On Saturday, a farmer friend and I met at her farm and drove over to Stanwood for a meeting with our state representative, Bobby Kaufmann. The obscure town along U.S. Highway 30 is home to some scrappy people: doomsday preppers, FOX News listeners, and citizens with tough personal stories. We were welcomed by a group of about 27, and are getting to know some of the regulars who attend these meetings. It was one of the best political meet ups I attended. What made it good is after four elections, Kaufmann rose within the Republican Party which has a majority in the House of Representatives. Because of his leadership position, he knows what is going on with issues that are in the news. A person wants that in a politician. While Kaufmann and I don’t often agree, we find common ground. My questions were few and centered around issues that matter to me: water quality, state revolving loans for public utilities, IPERS, and that’s it. He’s a skilled legislator who can focus both on policy and the art of what’s possible. He paid for coffee and cinnamon rolls for anyone who wanted them. The easy statement to make is we should balance our politics and policy. I’m not sure about that. A better approach is to recognize there is political bandwidth and tune in. We find opportunities to move the needle of policy a good distance through discussion with diverse groups of people. When that’s not possible, talk about what is. I believe that can be how bold change in society takes place. This entry was posted in Politics and tagged #amwriting, Iowa Legislature, politics, Writing. Bookmark the permalink. Good thoughts and wisdom gained from your experience. I agree with those comments about how we find it easy to spout off in the presence of those who agree with us. What would encourage us to do so in the presence of those who also disagree? I think the most important quality to encourage that is being able to trust those you disagree with. Trust and integrity are qualities rare today in the world of politics and governance. Jim, Thanks for reading my blog and for your comments. Hope you have a great week! I’m curious, what are you four radio stations you’ve got programmed into your car radio? Thank you for writing this piece. 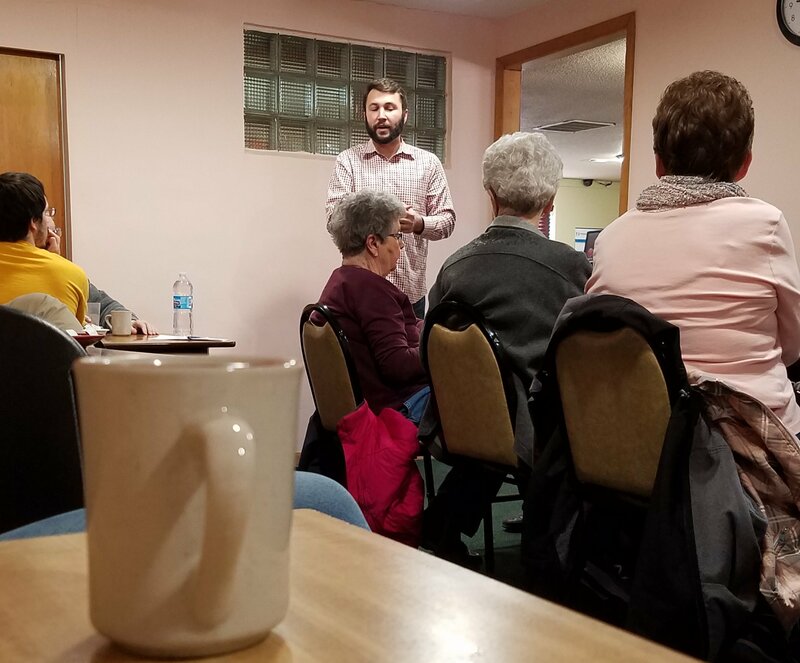 Where we live in Northeast Iowa, there’s not much diversity, so I’m happy to hear that you find those places where opinions can be discussed. That doesn’t happen much here. I really appreciated this post on a number of levels. It’s hard to articulate right now all of the why of that, but thank you for expressing this. Thanks for reading my blog Frank.